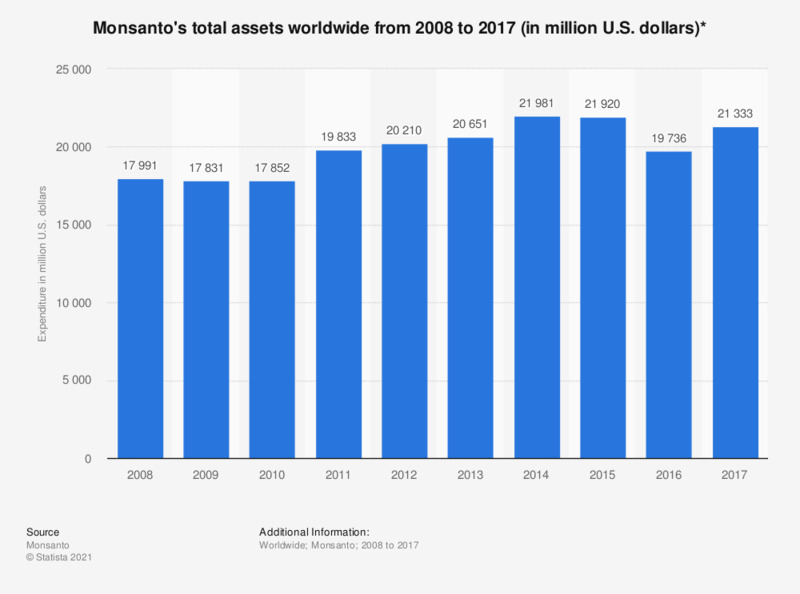 This statistic shows the total assets of Monsanto from 2008 to 2017. In 2017, the company had total assets worth approximately 21 billion U.S. dollars. Monsanto was an agricultural company specialized on genetically engineered seeds. The company was headquartered in St Louis, Missouri. In September 2016, Bayer finalized a deal to take Monsanto over, which was completed on June 7, 2018. * Fiscal years ending on August 31. Values prior to 2013 were taken from previous financial reports.